Seeking a sleep promoter? 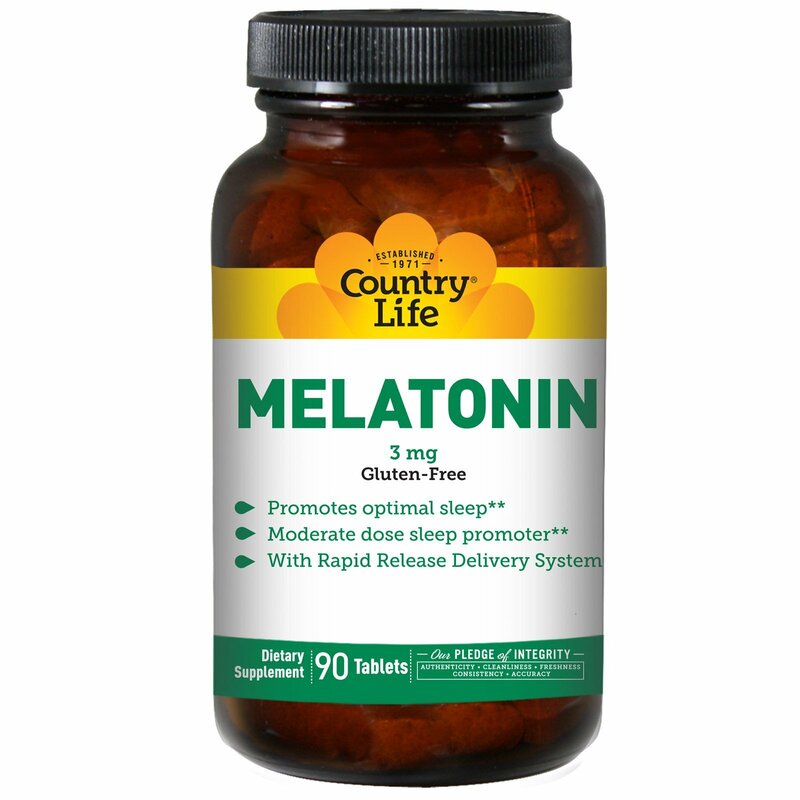 Country Life's melatonin mimics that which is naturally produced in the body. The Rapid Release Delivery System allows the tablets to dissolve within minutes. Available in 1 and 3 mg strengths. Adult take one (1) tablet one half hour before bedtime. As a reminder, discuss the supplements and medications that you take with your health care providers. Cellulose, stearic acid, cellulose & glycerin coating, silica, magnesium stearic, vegetable glaze. Caution: Not for use by persons under the age of 18. 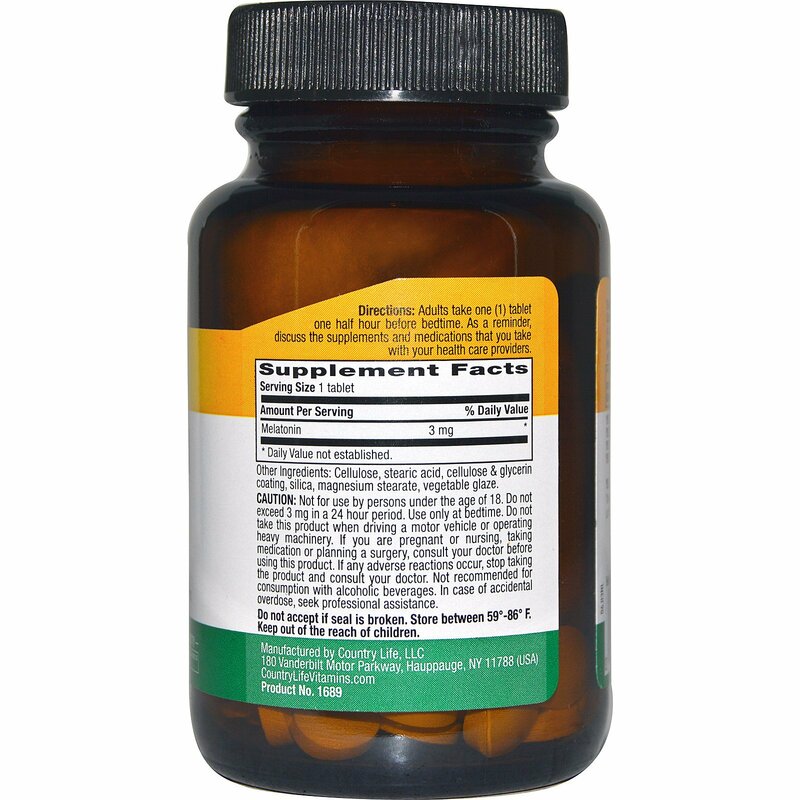 Do not exceed 3 mg in a 24 hour period. Use only at bedtime. Do not take this product when driving a motor vehicle or operating heavy machinery. If you are pregnant or nursing, taking medication or planning a surgery, consult your doctor before using this product. If any adverse reactions occur, stop taking the product and consult your doctor. Not recommended for consumption with alcoholic beverages. In case of accidental overdose, seek professional assistance.